Pay Per Click (PPC) advertising is a system for producing instant leads or sales. Essentially its a way of buying clicks on your website, rather than someone finding your site organically. One of the great benefits of PPC Advertising is that it is like a tap, you can turn it on and off at your will. If you are really busy and are struggling with resources, switch it off. If you’ve got some free time, turn it on and watch the enquiries come in. Use the power of the search engines to dramatically improve the number of clients to your business. If you have a website and are going to spend on any advertising for your business, make sure it’s AdWords for the best return on your advertising investment. Here at Turtle Media & Marketing, we can manage your whole AdWords campaign. Once your keyword phrase report has been analysed, together with you, the client, we decide on the best keywords and phrases that compliment your business. We then implement an effective strategy to drive customers to your site or specific landing page which will result in more sales. We work with our clients to determine the right goals and budget for your campaign to succeed. Let us here at Turtle Media & Marketing look after driving more clients to your business through Pay Per Click, contact us now for a no-obligation chat with one of our friendly PPC specialists, and to book your free AdWords report. Start your AdWords campaign now! We know how to get you more clicks and more sales through the power of your website. We provide high quality, personalised and focused PPC management for our clients. We check every element of the process. This includes choosing the most useful search phrases, to ensuring your ads are positioned for the best conversion rate. When you’re paying for advertising, you want it to deliver results while also being cost-effective. When you work with Turtle Media & Marketing, we ensure your campaigns are appropriately managed to achieve this. Testing different bidding strategies, keyword optimisation and other tweaks to your PPC campaigns make all the difference. When teamed with one of our local or national SEO packages, our PPC advertising management works perfectly to deliver useful and qualified leads for your business. It’s a perfect compliment to SEO, and social media marketing as it works quickly. PPC also shows how, with a little input, you can start seeing genuine results. We target searchers using adverts whenever they type specific keywords into their chosen search engine. Skilful and effective management is essential for effective results because it needs to be carefully and cautiously targeted, so you only pay for the right adverts for your business. PPC can be carried out alongside SEO, and it is essential if you want to attract targeted leads. Your advertising options are extensive and far-reaching while being an instant source of sales. The most common choice is Google AdWords, but you can also use the systems provided by other search engines and online platforms including Bing, Twitter, LinkedIn, Facebook and more. Effective PPC advertising relies upon close monitoring and effective management to succeed. You can’t just set it up and let it run and expect results. 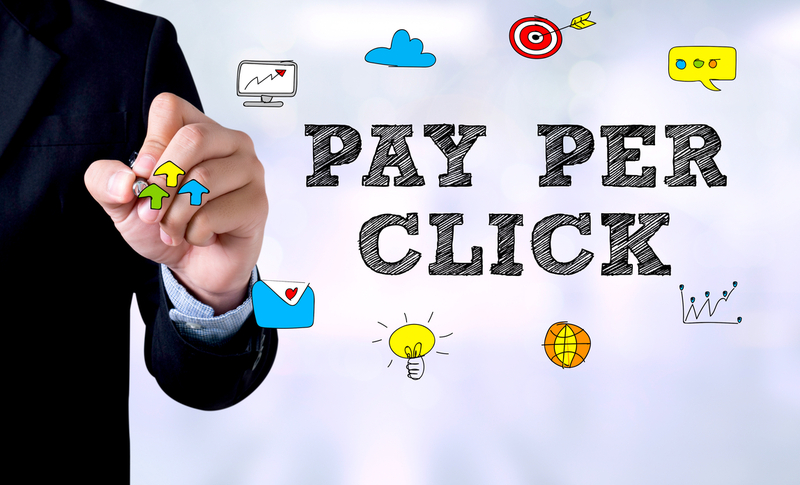 As the name suggests pay per click is a paid advertising process, so you want to get as much as possible for your money. The investment you make into PPC is something we can discuss with you to ensure your budget meets your business goals. Contact us now to have a chat with one of our PPC managers who will guide you through the process, to see if its right for your business.